One of the frequently asked questions in terms of Philippine stock market investing is "When is the right time to buy stocks?" When we talk about Peso Cost Averaging which is the power behind The Truly Rich Club's Strategic Averaging Method (SAM), the best time to buy really is when the price is still on the buy-below-price. As SAM investors, continuous gradual buying program is one of the best strategies for me, in other words, as an investor, your should be taking advantage of these down trend market to accumulate stocks at good or cheap prices. The good thing about this strategy is that you are not being bombarded by other people's speculation on when to buy and when not-to-buy. Speaking of speculation, here's a funny quotation in Mark Twain's Pudd'nhead Wilson, "October. This is one of the peculiarly dangerous months to speculate in stocks. The others are July, January, September, April, November, May, March, June, December, August, and February." How about YOU? 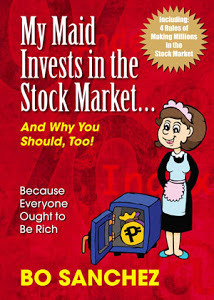 When are YOU going to buy stocks in the Philippines? You can start... NOW. Are YOU AFRAID of investing in stock market? You want MORE guidance and MENTORS? Try The Truly Rich Club. 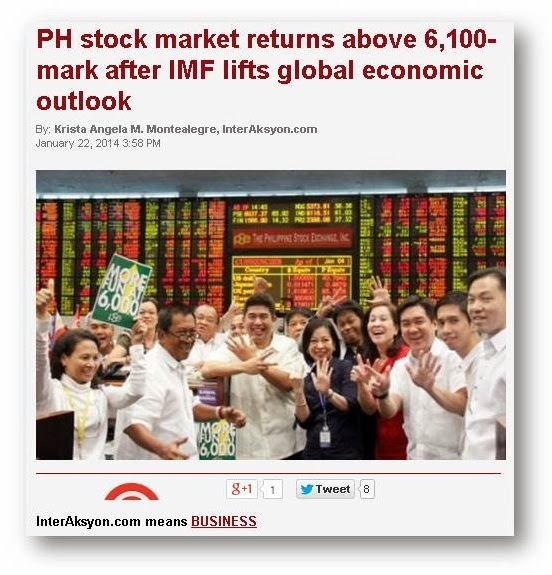 Let me share you the latest Philippines stock market news published in interaksyon.com website, the Philippines stock market returns above 6,100-mark. You can read the details below. "The Philippine benchmark index on Wednesday posted its best performance so far this year after returning above the 6,100-line, driven by the improved outlook for the global economy. 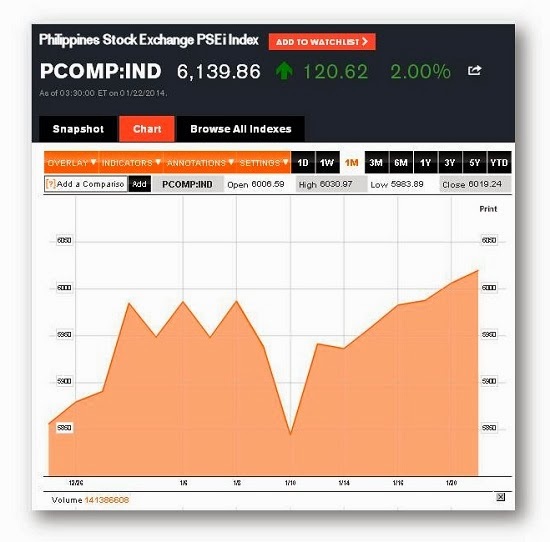 At the Philippine Stock Exchange, the composite index added 120.62 points, or 2 percent, to finish at 6,139.86, extending its gains to a sixth straight session for its longest winning run since October last year. The last time the local barometer closed above the 6,100-mark was on December 4 when it settled at 6,105.23. All counters finished in the green, with the financial counter rising 2.99 percent and the property index climbing 2.06 percent." "The PSEi broke out from the 6,000 resistance level on expectations low interest rates would prevail and improved global economic outlook," said Freya Natividad, investment analyst at Papa Securities. The International Monetary Fund (IMF) upgraded its projection for global growth to 3.7 percent this year, compared to the 3.6 percent estimate in October, on expectations of accelerated economic expansion in the US and the United Kingdom. The S&P 500 added 0.3 percent to 1,843.80, while the Dow Jones Industrial Average fell 0.3 percent to 16,414,44 after Verizon Communications Inc, Johnson & Johnson and Travelers Co reported disappointing earnings."